. I want to age this gracefully – and happily!
. Brilliant gift wrap idea.
. How to de-stress in only six minutes.
. I’ll take a wolf, thanks. But not a woof.
. Cracking up because a) I adore Mr. Rogers (well documented fact, people) and because b) I’ve done this, and yes, it looks almost exactly like this. What’s on the schedge this weekend friends? I’m partaking in some date night, some pool sitting, and starting to think about packing for Vegas! Yahoo! 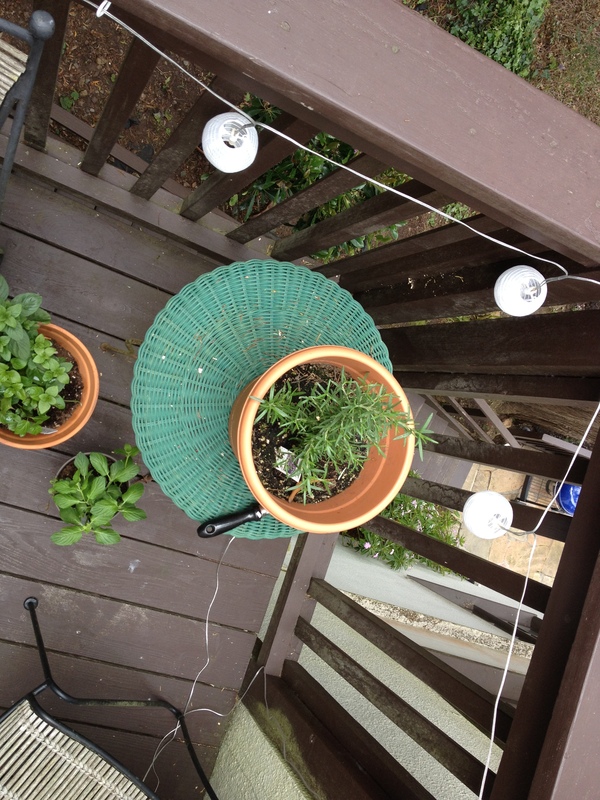 Now that I have a thriving herb garden (the first time I’ve ever been able to type “thriving” and “garden” in the same sentence, thank you, this is a big day) I have been putting herbs into anything and everything – especially beverages. 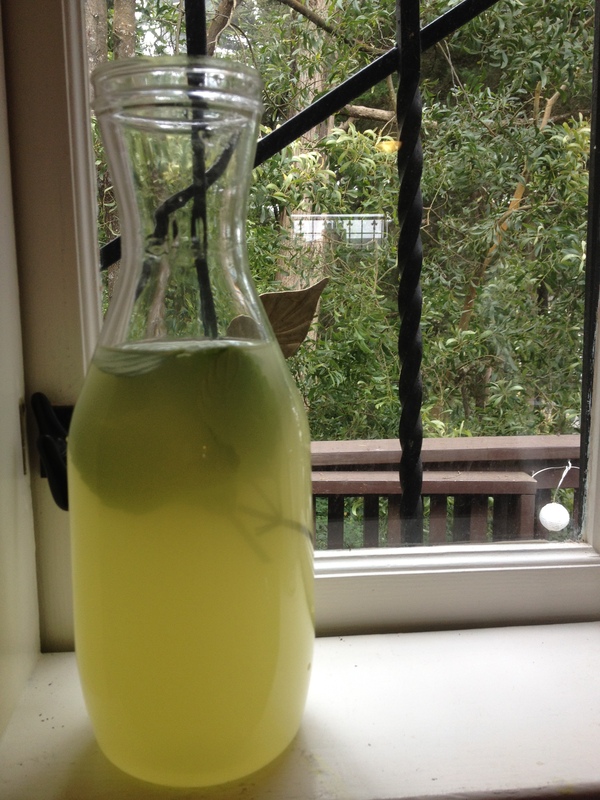 And though SF is cold and foggy, like, every single day, that still hasn’t stopped me from partaking in my favorite summer tradition: an ice cold glass of lemonade. It’s so easy, there’s really no recipe required – simply mix up a batch of lemonade, either from scratch or with a mix, your choice – and add some freshly snipped, thoroughly rinsed mint, rosemary, basil and lavender. 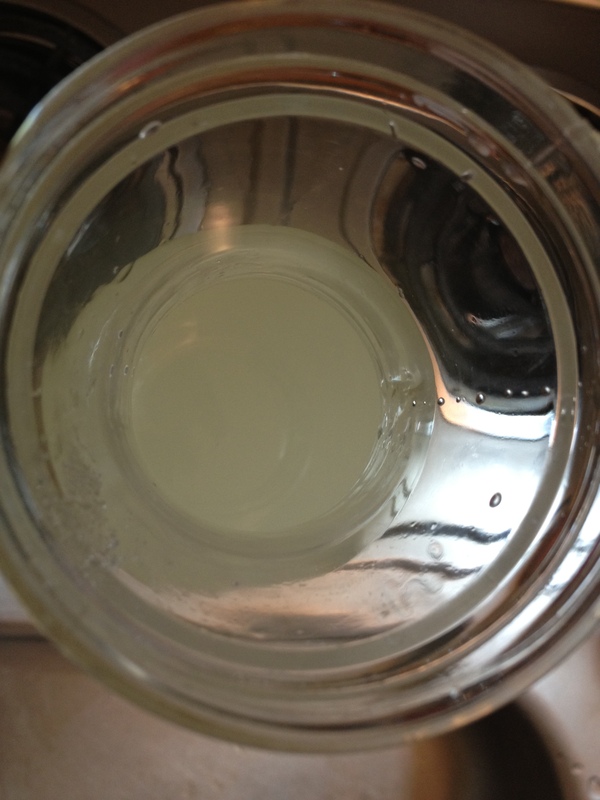 I let it sit overnight so the flavors can infuse thoroughly, then strain out the herbs. 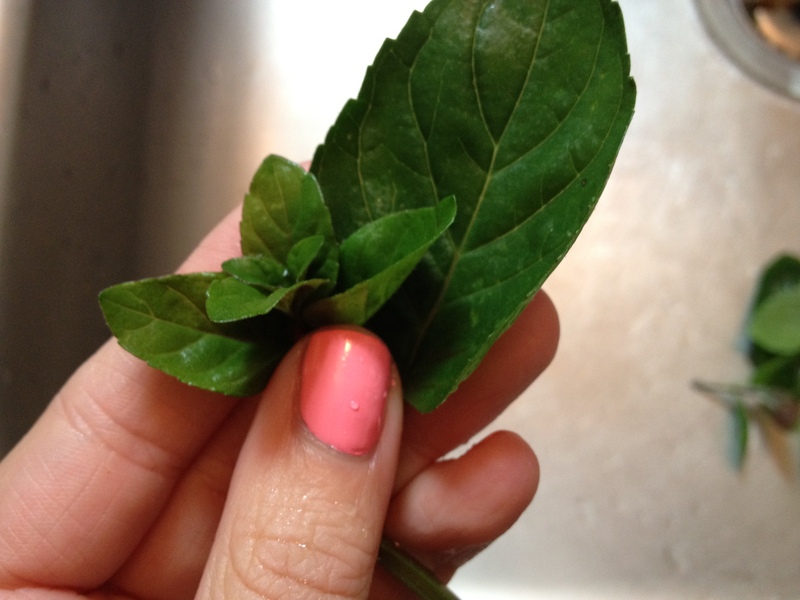 Garnish, if you’d like, with a wedge of lemon or a sprig of mint, or add some sparkling water, for an extra kick. I grew up sharing a bathroom with my brother, then with three college roommates, then with 35 sorority sisters. In my Presidio house, there were four adults sharing one bathroom and we all got really good at the speed shower and the quick pee. Now, blissfully, I have my own bathroom, chock full of hair products, fresh towels and back issues of Vogue. Still, it can be crowded with cosmetics and brushes, and stray bobby pins are somehow everywhere. In order to keep my tiny toilette feeling organized and feminine, I rely on a neutral palate, vintage organizer help, and tons of fresh-smelling Method cleaner. Space Savers. 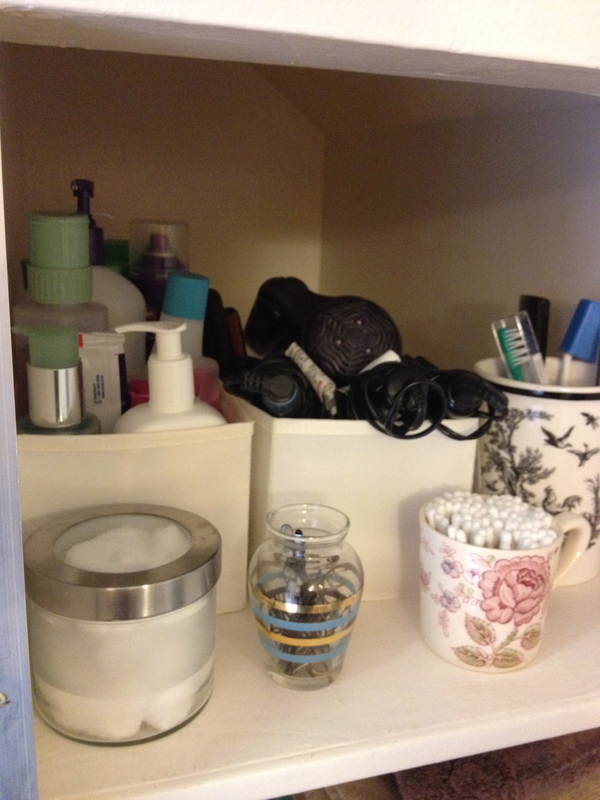 It would be easy, but inefficient, to cram my built-in shelves full of products. 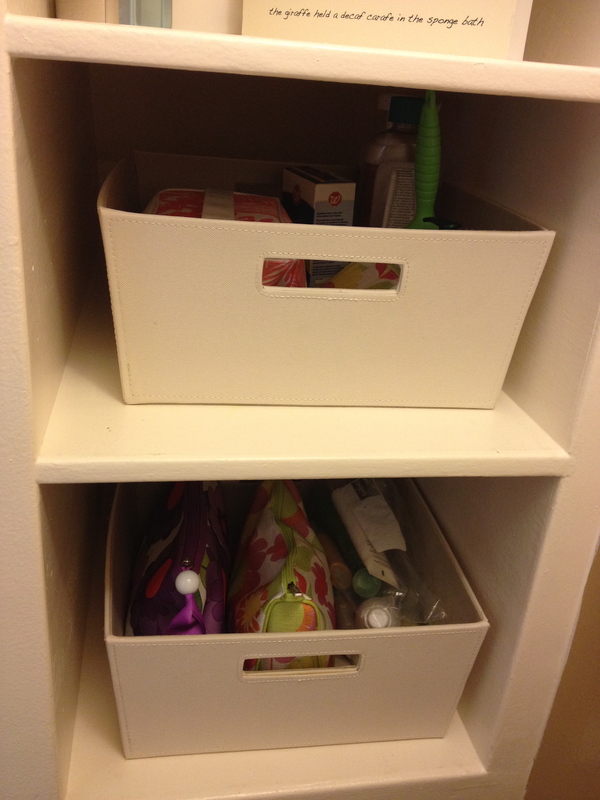 These linen drawers from Target keep cosmetics and hair accessories compartmentalized and easy to access. Since I’m not allowed to paint, the neutral shade blends into the wall color nicely, to keep the room from feeling visually cluttered. Cool Colors. Green is my favorite color, in all its varieties: vintage depression green, minty old Vespa green, and that pale blue-green of the Indian ocean when the tide goes out. 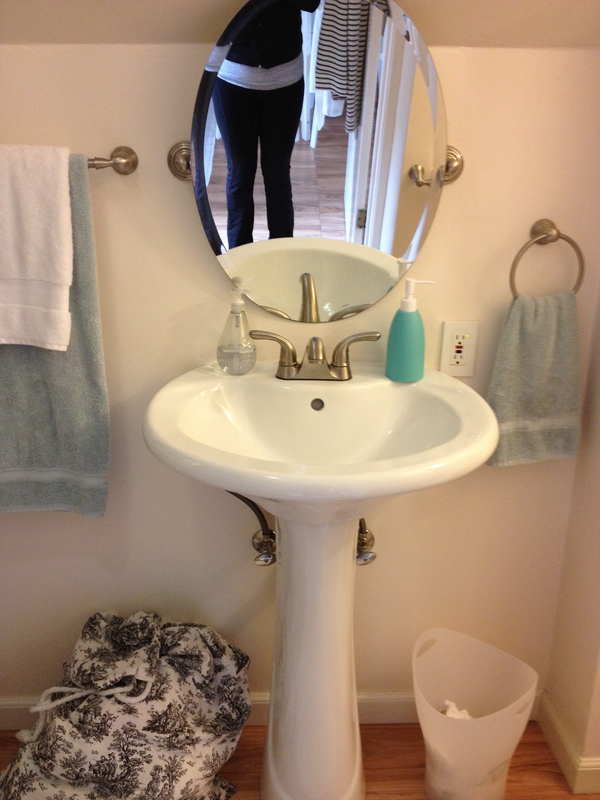 I used Fieldcrest Luxury towels in Aqua Spill as a base color, and then added whites and neutral shades around it, with the occasional pop of bright teal. Vintage Vessels. For small items, such as makeup brushes, cotton balls, and those rascally bobby pins, I employed my collection of vintage jars, canisters, and even my great-grandmother’s rose chintz tea cup, to keep everything organized. I also the vintage feel of French toile fabric, and I’ve had that laundry bag since college, so technically, it’s vintage, too! I’d love to hear your organization tips! Bathroom or otherwise!
. Loving my new iPhone case, c/o the good people at Otter Box. Thanks, guys!
. Finally, a crazy cat gentleman! As always, more on Tumblr and Pinterest. This weekend is all about girl time. Excited to catch up with my ladies on the tennis court, at the pool, and on the terrace for lunch. Happy weekend, good people. Make it count. 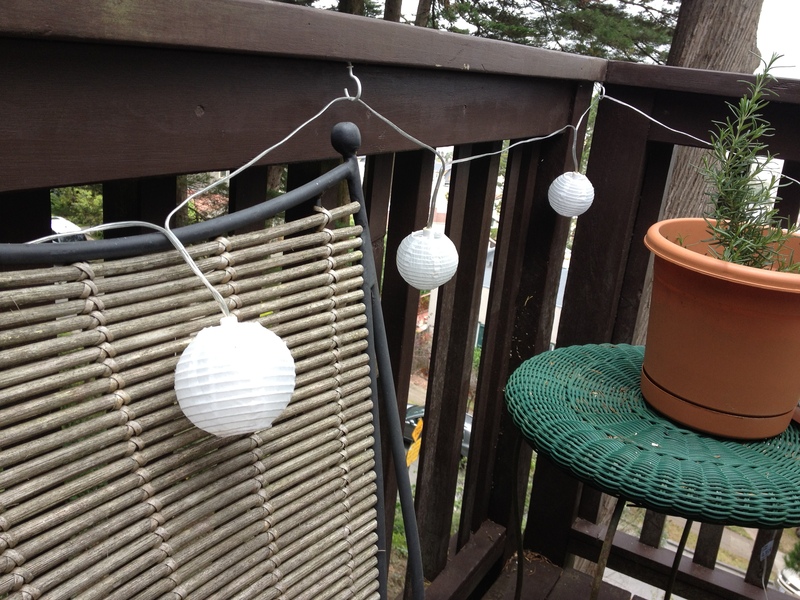 One of the first things I realized when I moved into 200 square feet, was that I needed to maximize every possible inch – including the outdoors – but since I basically live in the sky, the only outdoors we are rockin’ in the treehouse is a front porch and a whole lotta stairs. 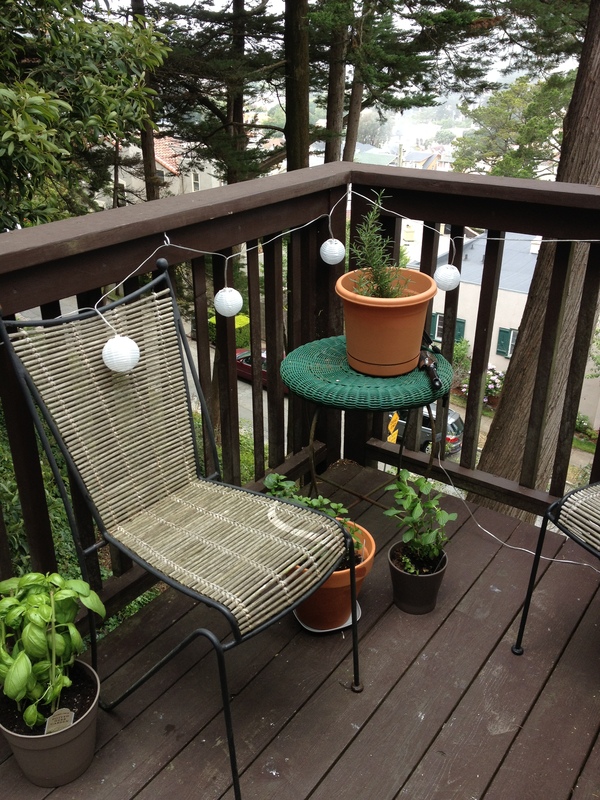 In order to make my little porch feel like an extension of living space, I added wicker table and chairs, strung up solar lights and created an herb garden that not only floods my doorstep with fragrance after the (frequent) San Francisco rains, but it also adds a whole new element to cooking. And by “element” I naturally mean I just add herbs to everything now. Yes, sometimes even toast with cheese. Add a lil’ basil. It’s really pretty good. I’ve been a little obsessed with Pantone in real life since I pinned this beautiful dessert idea several months ago. 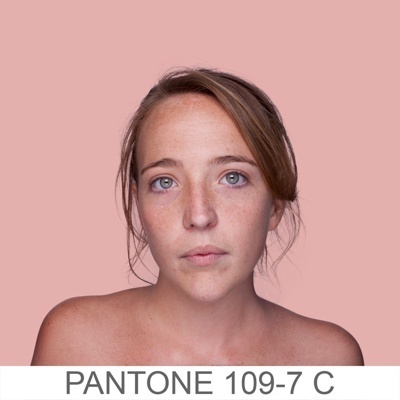 I’m not the only one – check out this beautiful work by Spanish artist Angelica Dass about people and their Pantone colors. I suspect my Pantone color would be very pale and slightly blushy because my cheeks are always red! 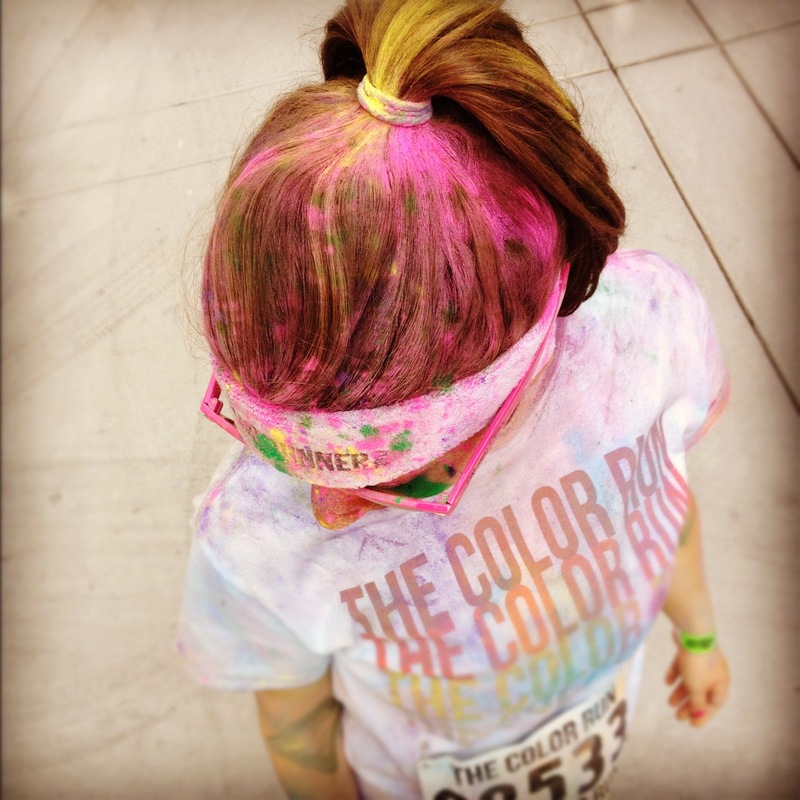 What color would you be? 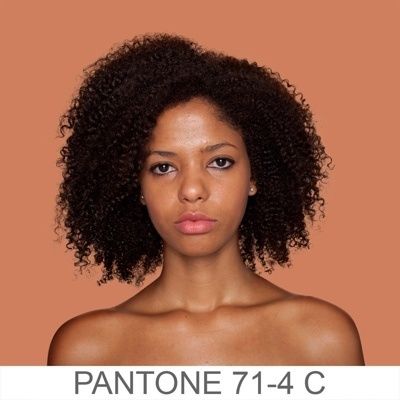 More Pantone awesomeness here and here. One of the perks of working from home is that I get to multi-task. Sometimes this is bad – as cold, neglected mugs of tea and half-watered plants can attest – but sometimes this is great, because that means inspiration is everywhere and can be acted upon at a moment’s notice. Case in point: today. 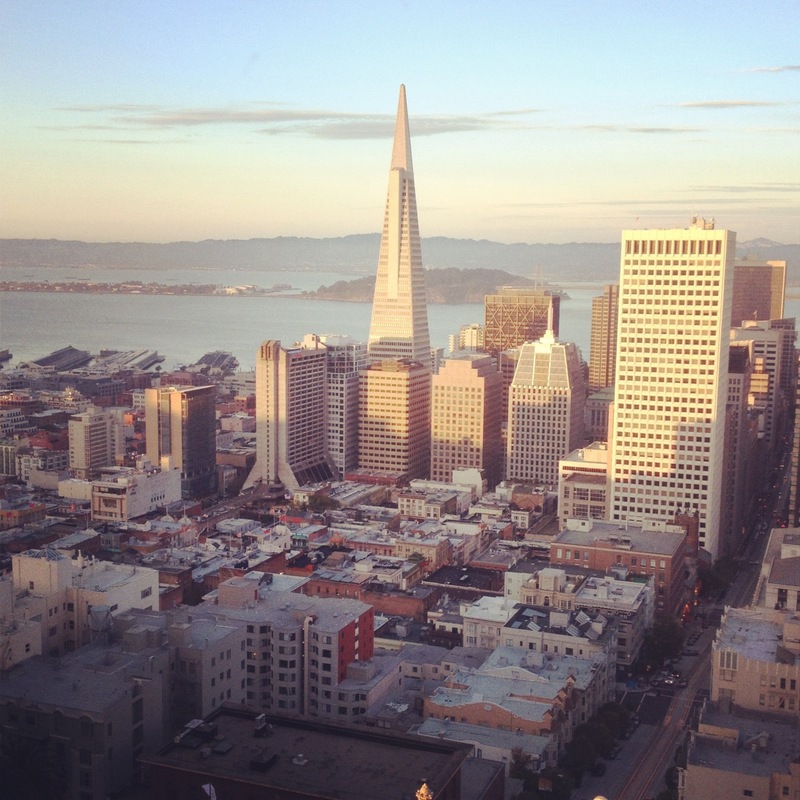 Nothing cheers up a day of expense reports and provides sartorial inspiration like Charade. What I love about this film, aside from the witty banter and beautiful Parisian scenes, is the color. More specifically, the lack of it. 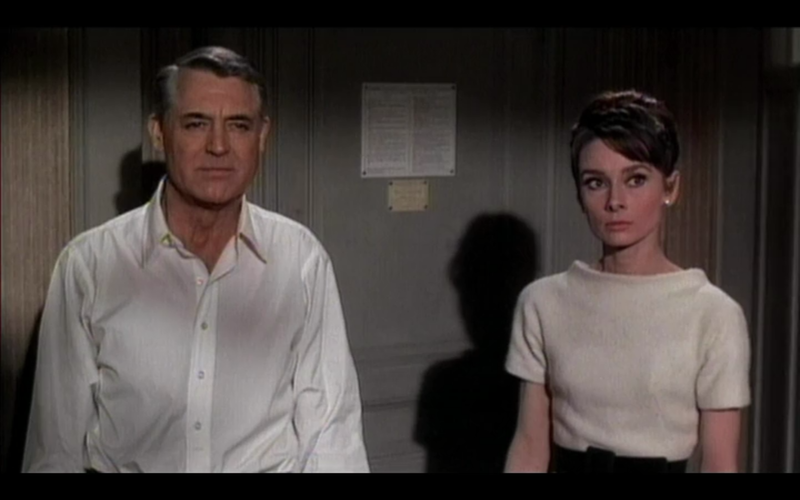 I love the dusty hues and drab walls, which let Carey and Audrey really pop in bright reds and stark whites. Her earrings twinkle and the lights seem to glow against neutral backdrops. 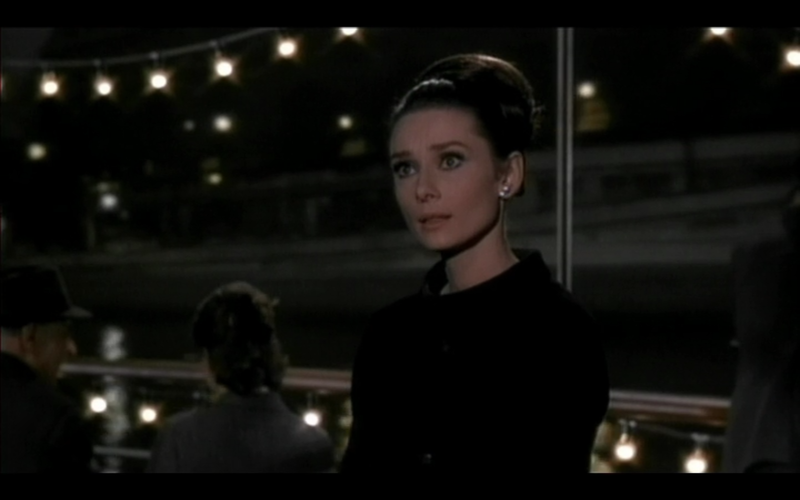 Stanley Donen was a genius, and his beautiful movie still seems fresh and relevant. 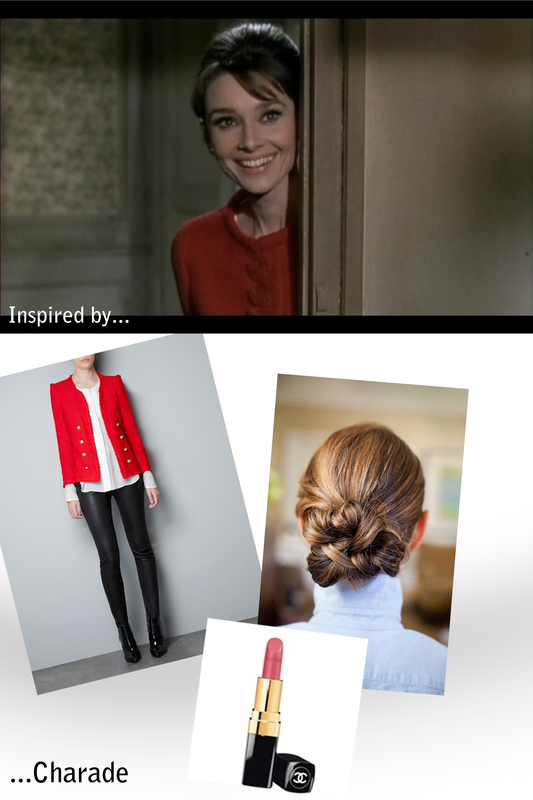 To wit: Audrey’s big-buttoned jacket, ladylike chignon and, of course, a very classic pink lipstick. All are cropping up in modern iterations on Fall runways and new collections everywhere. Now that’s something to be inspired by.